Fans have long wondered what happened to Ahsoka after she left the Jedi Order near the end of the Clone Wars and before she reappeared as the mysterious Rebel operative Fulcrum in Rebels. Finally her story will begin to be told. Following her experiences with the Jedi and the devastation of Order 66, Ahsoka is unsure she can be part of a larger whole ever again. But her desire to fight the evils of the Empire and protect those who need it will lead her right to Bail Organa - and the Rebel Alliance. In barren desert lands and seedy spaceports...in vast underwater cities and in the blackest depths of space...unfolds a tale of good and evil, of myth and magic, of innocence and power. 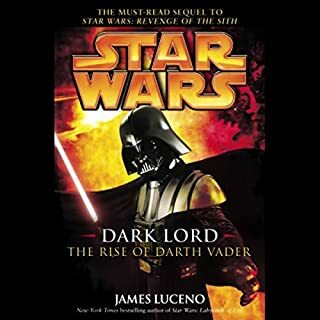 At last the saga that captures the imagination of millions turns back in time to reveal its cloaked origins - the start of a legend - the story of Star Wars. The second Death Star has been destroyed, the emperor killed, and Darth Vader struck down. Devastating blows against the Empire and major victories for the Rebel Alliance. But the battle for freedom is far from over. As the Empire reels from its critical defeats at the Battle of Endor, the Rebel Alliance - now a fledgling New Republic - presses its advantage by hunting down the enemy's scattered forces before they can regroup and retaliate. But above the remote planet Akiva, an ominous show of the enemy's strength is unfolding. 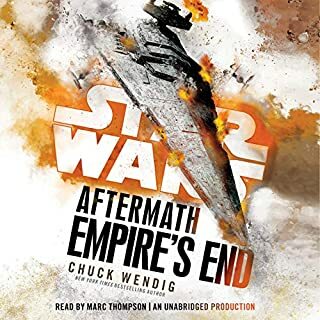 Set between the events of Return of the Jedi and The Force Awakens, the never-before-told story that began with Star Wars: Aftermath continues in this thrilling novel, the second book of Chuck Wendig's New York Times best-selling trilogy. 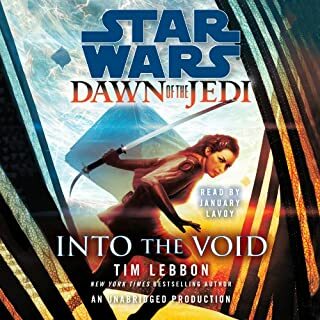 From the New York Times best-selling author of Star Wars: Lost Stars comes a thrilling novel set in the years before the events of Star Wars: The Force Awakens. 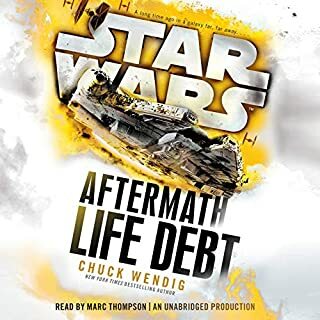 Following Star Wars: Aftermath and Star Wars: Life Debt, Chuck Wendig delivers the exhilarating conclusion to the New York Times best-selling trilogy set in the years between Return of the Jedi and The Force Awakens. The overthrow of the Republic is complete. The Separatist forces have been smashed, the Jedi Council nearly decimated, and the rest of the Order all but destroyed. Now absolute power rests in the iron fist of Darth Sidious - the cunning Sith Lord better known as the former Senator, now Emperor, Palpatine. But more remains to be done. 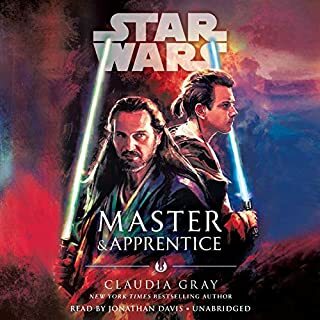 Der Jedi-Meister Qui-Gon Jinn und sein Padawan Obi-Wan Kenobi werden beauftragt, Amidala, die junge Königin des Planeten Naboo, zu beschützen. Doch die Lage auf Naboo eskaliert, die beiden Jedi und Amidala müssen vor Kampfdroiden flüchten und auf dem Wüstenplaneten Tatooine notlanden. Dort lebt der Sklavenjunge Anakin Skywalker, dessen größter Traum es ist, ein Jedi-Ritter zu werden. Er besitzt ein ungewöhnlich starkes Bewusstsein für die Macht. 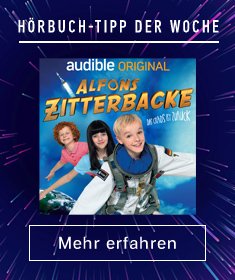 Anfangs noch etwas zäh, wird in der zweiten Hälfte des Buches richtig durchgestartet. Canon-Freunde werden sich sicher über die vielen Easter-Eggs/Cameos freuen! Ashley Eckstein macht bei ihrem Debüt einen sehr guten Job. 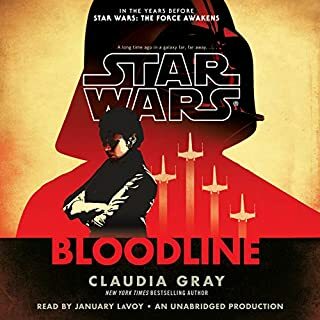 The audio book starts a bit slow, but gets more into the story pretty quickly and picks up speed and action with every chapter. The Story is about Ahsoka after the Empire took over and before she had anything to do with the rebellion. 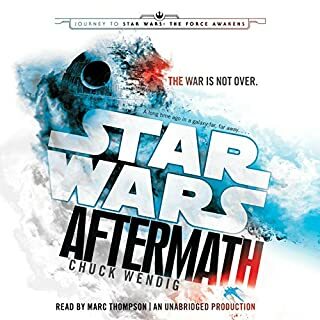 It's less about whats going on in the universe but instead very focused on her self and how her life changed completely after pretty much all the Jedi died or went into hiding. I like the writing style very much. It's easy to follow and not unnessecery "complex". I'd say it's really good for younger readers and listeners. I'm not native English speaking but I could follow everything just finde. Also Ashley Eckstein does an amazing job here. She's also the voice of Ahsoka in the animated series which makes listening to it just perfect! I wish she'd read more Star Wars novels. Ahsoka ist für Fans der Serien The Clone Wars und Rebels ein unverzichtbarer Baustein im Erzählstrang von Star Wars. Ashley Eckstein macht einen tollen Job als Erzähler, da macht das Hörbuch wirklich Spaß. 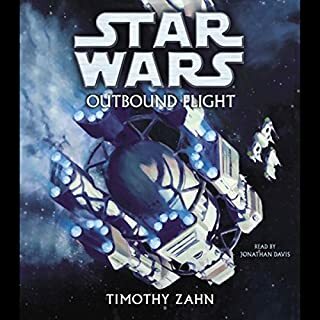 Man darf zwar nicht vergessen das hier ein Jugendbuch gelesen wird, aber die Geschichte ist doch ein wenig flach und gibt zu wenige Einblicke in Ahsokas Leben nach Order 66. Mehr wäre schön gewesen. Trotzdem solide und kaufenswert. Great story about Ahsoka becoming Fulcrum. The story highlights her inner struggles and learning to trust in her abilities. There are many references to the Clone Wars as well as to the movies. Her matured stories deserve their own books. Die Geschichte von Ashoka wird hier wunderbar weiter erzählt und schließt so die Lücke zwischen Clone Wars und Rebels sehr schön. 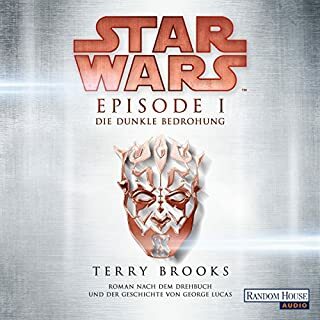 Sowohl das Buch selber wie auch das Audiobook kann Ich jedem der Ashoka in den Clone Wars lieb gewonnen hat nur ans Herz legen. 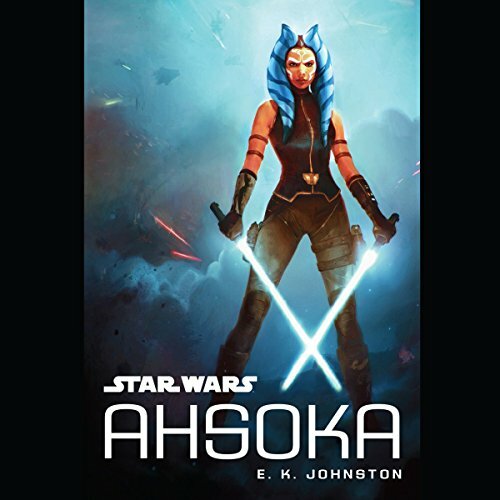 Ashly Eckstein macht ihren Job als Leserin, besonders als Ahsokas Stimme sehr gut. Inhaltlich eigentlich nur Interessant, wenn man sich speziell für Ahsoka als Sharakter interessiert, aber als Geschichte auch für Star Wars Fans im Allgemeinen gut geeignet. Angenehm zuzuhören, ansonsten auf angenehme Weise unspektakulär. Klare Empfehlung für alle Ahsoka Fans! Ganz gute Geschichte und schön eingebettet zwischen Clone Wars und Rebels. Ich hoffe auf weitere Geschichten. Welchen drei Worte würden für Sie Star Wars: Ahsoka treffend charakterisieren? 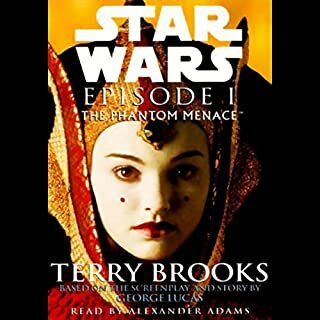 Welches andere Buch würden Sie mit Star Wars: Ahsoka vergleichen? Warum? 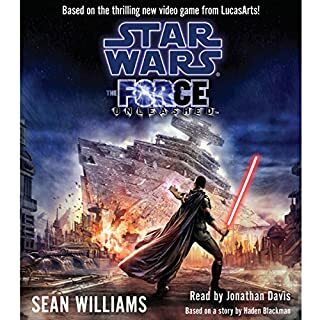 Hat Ihnen Ashley Eckstein an der Geschichte etwas vermittelt, was Sie vielleicht beim Selberlesen gar nicht bemerkt hätten? The speaker was good, but sometimes I was listening I had problems distinguishing the characters. Hätten Sie das Hörbuch am liebsten in einem Rutsch durchgehört? Gute Geschichte über Ahsoka. Kein Muss, aber für Fans lohnt es sich auf jeden Fall. Endlich erfaheeb wir mehr über die coolste Person aus Star Wars Clone Wars!! Unbedingt anhören (das englisch konnte ich gut verstehen/ 10 Klasse/)!